Register Online BEFORE January 31 to get a one time discount of $50 off! Register BEFORE April 30 to get $25 off! Groups of 8 or more who register together to the Girls Elite 100 Camp will automatically receive $25 off per person! Register as a Group BEFORE April 30 and get an additional $25 off per person! That's a savings of $50! Camp Shuttle Service: If your child is traveling to camp via air or bus, a shuttle service is available for a $40 fee (roundtrip). 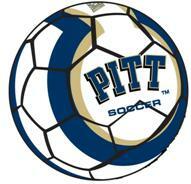 You can purchase the Official PITT Camp Ball with your registration OR you can purchase one at camp. Order early so you don't miss out! !